Get $25 off with code SPRINGCLEAN until June 21st! We are homegrown in Corvallis, veteran owned, and family operated. We take pride in using eco-friendly products and leveraging technology. If you’re wondering why our page looks so fancy and has pricing up front, it’s because we are modernizing the residential and commercial cleaning experience, right here in Oregon. These guys do an excellent job. It's always refreshing to come home after they have been by. They pay attention to detail and I would highly recommend them to anyone looking for a cleaning service. GREAT service by Sara and Amanda, and a super efficient online booking system as well! I will definitely use them again. EXCELLENT! I have tried a few other cleaning companies prior to this one and they are easily the best. The girls were extremely friendly and their attention to detail made my house as clean as it's ever been. I will definitely be using them on a regular basis, I highly recommend! 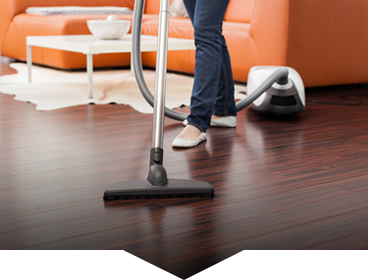 A team of two or more will come and professionally clean your space. carefully vetted and background checked so we choose the right person to care for your home. Our employees follow a rigorous 12 week training program to make sure everyone adheres to the same level of consistent quality. Feedback and communication is paramount to a great and long lasting relationship. At the end of each of your cleanings, you will receive an email to rate your clean. You can choose to rate your clean with a single click of a button and give us feedback on how well we did, so we can always make sure you are getting the very best experience from The Cleaning Company. The Cleaning Company (TCC) is a home and business cleaning service. Founded in Corvallis Oregon, veteran owned, and family operated. We value honesty, accountability, professionalism, and communication in our team. Here at TCC we also believe in creating a positive, fun, and energetic work environment for everyone. We believe in paying our teams a higher than average wage, so you get higher than average cleans. We have been cleaning in Corvallis, Salem, Eugene, and surrounding areas for a combined total of over 30+ years and have a comprehensive training manual and program that all staff participate in. We use a brand of products which are certified ECO friendly and biodegradable. We provide Residential Maid service, Small Business cleaning services, and Commercial Janitorial services. We have a growing list of happy and satisfied business and residential customers. There's nothing quite like coming home to a clean house after a long day of work or feeling confident your business will be spotless before your doors open to the public. Check out our reviews on Facebook, Google, and Yelp for our level of quality and communication. You can book a Cleaning in 60 seconds online, how cool is that? !